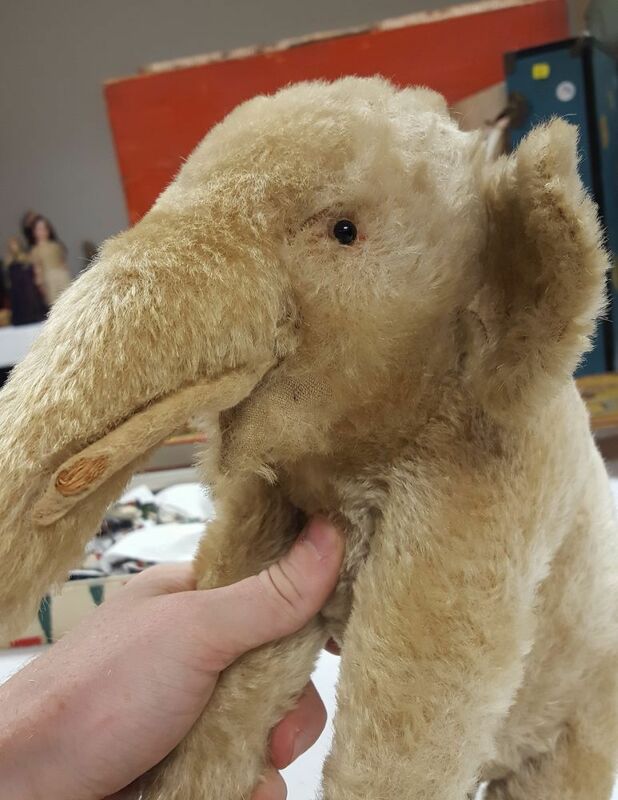 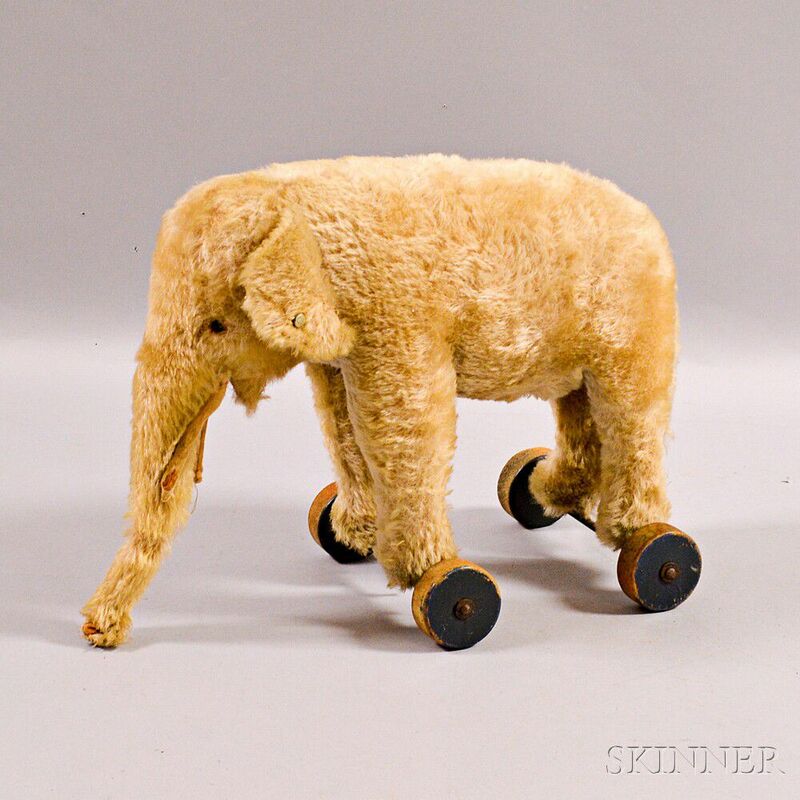 Steiff Blonde Mohair Elephant Pull-toy, mid-20th century, with button in ear, on painted wooden wheels, ht. 10 1/2, lg. 13 in.